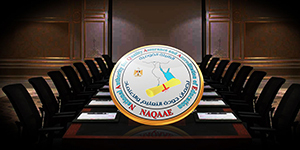 The review committee of the National Authority for Quality Assurance and Accreditation of Education (NAQAAE) visits the faculty of Financial and Administrative Sciences- Pharos University on 14-16 April 2019. The faculty’s academic as well as administrative staff members, especially the Quality Assurance Unit express their willingness to cooperate with the NAQAAE review committee to accomplish its mission in the due date. Getting accreditation is a step to be taken by the faculty of Financial and Administrative Sciences towards developing the educational process, enhancing the learning outputs and actively engaging in the state’s comprehensive development scheme.